One of the worst nightmares for many Pacific Northwest residents is a huge earthquake along the offshore Cascadia Subduction Zone, which would unleash damaging and likely deadly shaking in coastal Washington, Oregon, British Columbia and northern California. The last time this happened was in 1700, before seismic instruments were around to record the event. So what will happen when it ruptures next is largely unknown. A University of Washington research project simulates 50 different ways that a magnitude-9.0 earthquake on the Cascadia subduction zone could unfold. How will a 9.0 Cascadia earthquake affect Seattle? 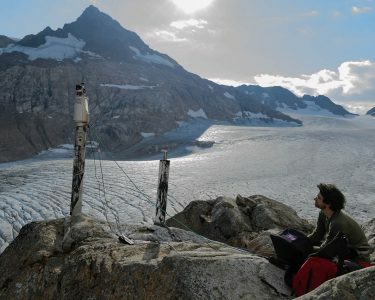 David Shean uses another technique, UW’s terrestrial laser scanner, to measure surface elevation at the South Cascade Glacier. Detailed measurements using this technique complement the satellite observations. We now have a third, much more powerful tool. While he was a doctoral student in University of Washington’s Department of Earth and Space Sciences, David Shean devised new ways to use high-resolution satellite images to track elevation changes for massive ice sheets in Antarctica and Greenland. In 2012, he asked for satellite time to turn digital eyes on glaciers in the continental U.S., and has since collected enough data to analyze mass loss for Mount Rainier and almost all the glaciers in the lower 48 states. He will present results from these efforts Oct. 22 at the Geological Society of America’s annual meeting in Seattle. 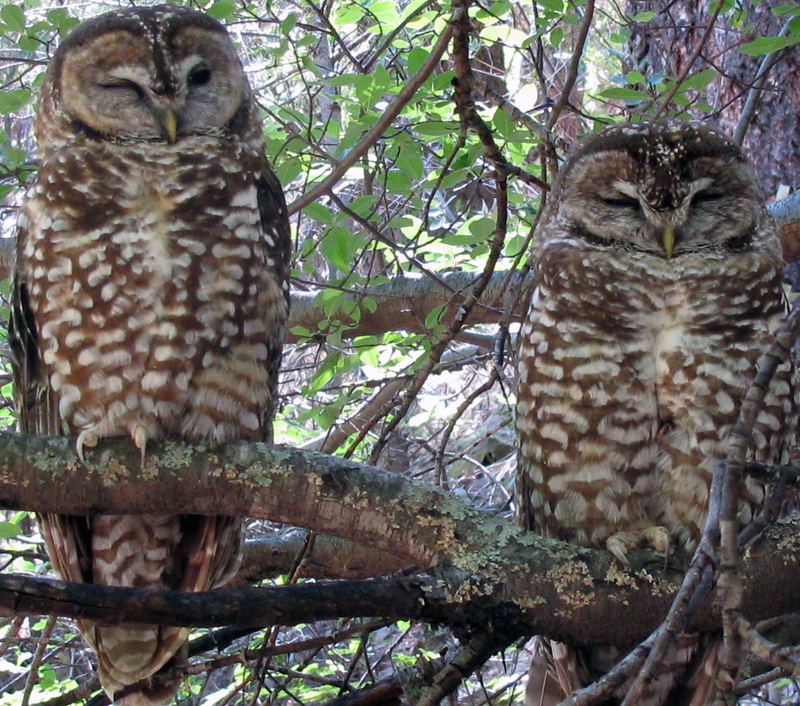 A pair of spotted owls. Can tapping into West Coast fisheries support human health and nutrition? With an inaugural pilot grant from UW’s Population Health Initiative, a multidisciplinary research team is studying how the fish we catch could support healthier diets for low-income communities. 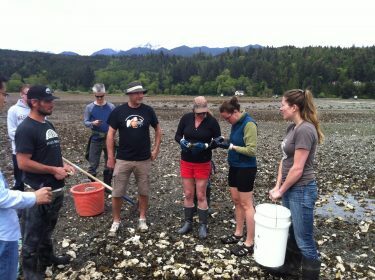 Dr. Edward Allison, School of Marine and Environmental Affairs, and PhD student Zach Koehn, School of Aquatic and Fisheries Sciences, are leading the work in partnership with Jen Otten, School of Public Health, and Ray Hilborn and Chris Anderson, also from the School of Aquatic and Fishery Sciences. Nutritious oily fishes, such as mackerel, herring and sardines, contain high levels of heart-healthy Omega-3 fatty acids that are unique to marine species. Right now, Allison explains, West Coast fisheries do not target most of these small “fishy flavored” species because of consumer taste preferences and economic incentives to catch a few popular species, like halibut and rockfish. When they are caught, these fish are sold for animal and aquaculture feed or discarded as bycatch. However, the West Coast is home to many peoples from traditional maritime cultures who would welcome the inexpensive fish into their diets. Allison’s team, comprised of fisheries, public health and policy scientists, sees an opportunity to connect low-income communities with these healthy, more affordable fish. Allison hopes that his team’s research will: determine West Coast fisheries’ potential to support population health in local coastal communities; name current barriers that prevent nutritious, underused fish from reaching people who need them; and explore possible pathways to connect fisheries with communities — like having small community-supported fisheries deliver their bycatch to schools and meal programs. If the team identifies fishing policy and practice changes that could increase the supply of nutritious fish, those pathways could create new opportunities for organizations like SeaShare, a nonprofit that currently partners with fishermen to donate unsold fish to food banks. Managing fisheries for nutrition could also have positive environmental impacts. The Population Health Initiative pilot research grant encourages new interdisciplinary collaborations among investigators for projects that address critical components of the grand challenges the UW seeks to address in population health. This year’s five awardees were selected by a panel of judges from a pool of 60 applications from faculty investigators representing the UW Bothell and UW Tacoma campuses as well as every school and college on the UW Seattle Campus. Dan Brown, director of the School of Environmental and Forest Sciences effective January 1, 2018. UW Environment is pleased to announce that Dan Brown will be joining the University of Washington as the new director of the School of Environmental and Forest Sciences, effective January 1, 2018. As director, Dan will play a vital role in guiding the School’s academic growth and developing new initiatives, providing leadership and management of its programs, centers, and research grants, allocating its revenues in a manner that supports its mission, and enhancing its sizable and growing endowment. In addition, the SEFS director also sits on the Natural Resources Board of Washington State, which oversees the management of state lands. 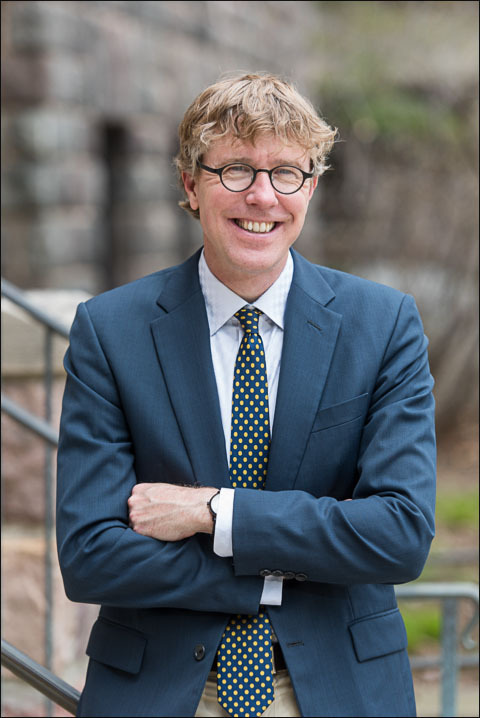 Dan recently served as interim dean for the School of Natural Resources and Environment (renamed the School for Environment and Sustainability effective July 1, 2017) at the University of Michigan, where he is also a professor in the fields of conservation ecology and environmental informatics. 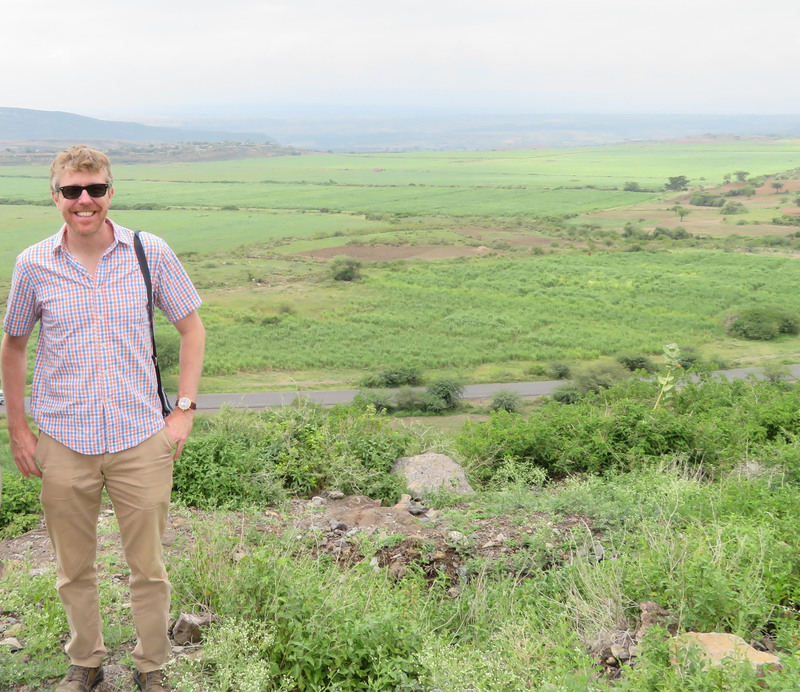 His specific research interests focus on land use change and its effects on ecosystems and human vulnerability. His work connects a computer-based simulation of land-use-change processes with GIS and remote sensing based data on historical patterns of landscape change and social surveys. 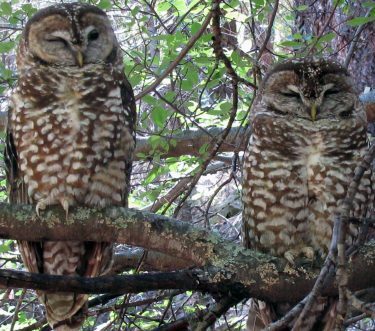 Join us in welcoming Dan to the School of Environmental and Forest Sciences, the College of the Environment and the University of Washington. The College also wishes to thank Liz Van Volkenburgh for her service as the interim director. Dan Brown in Ethiopia doing field work in 2017. Finally, thanks are due to the School of Environmental and Forest Sciences director advisory search committee for their energy, enthusiasm and thoughtfulness. The committee membership included Greg Miller, Vice Dean, College of Engineering (Chair), Renata Bura, Associate Professor, School of Environmental and Forest Sciences, Ann Forest Burns, American Forest Resource Council (representing Mark Doumit, Executive Director, Washington Forest Protection Association), David Butman, Assistant Professor, School of Environmental and Forest Sciences, Gene Duvernoy, Forterra, College of the Environment Advisory Board, Tom Friberg, College of the Environment Campaign Committee, Mitch Friedman, Executive Director, Conservation Northwest, Wendy Gibble, UW Botanic Gardens, Caitlin Littlefield, Graduate Student, School of Environmental and Forest Sciences, John Marzluff, Professor, School of Environmental and Forest Sciences, André Punt, Director, School of Aquatic and Fishery Sciences, Sergey Rabotyagov, Associate Professor, School of Environmental and Forest Sciences, Edie Sonne Hall, Weyerhaeuser Company, Wendy Star, Administrator, School of Environmental and Forest Sciences, and Julian (Morgan) Varner, US Forest Service.